It was announced on Wednesday that the script of ‘Harry Potter and the Cursed Child’ will be published on Sunday 31st July, the day after the world premiere of the new play in London’s West End. The publishers Little, Brown have confirmed that a special rehearsal edition of the script is being printed in response to massive public demand from fans around the world followed by a definitive collector’s edition at a later date. Set nineteen years after the Battle of Hogwarts, Harry Potter is now an “overworked employee of the Ministry of Magic” while his youngest son Albus “must struggle with the weight of a family legacy he never wanted”. 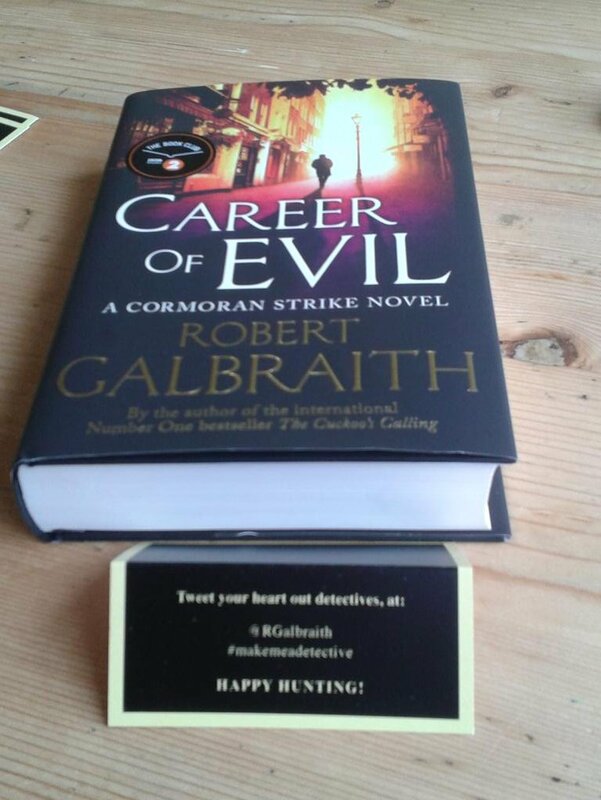 This week, I was lucky enough to get a place at a special launch event for ‘Career of Evil’, the third book in the crime fiction series by J. K. Rowling written under the pseudonym Robert Galbraith. I really enjoyed The Cuckoo’s Calling and The Silkworm and was very keen to read the latest instalment of Cormoran Strike’s adventures.